LAKEVILLE, IN. 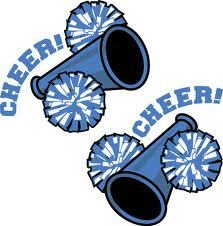 – LaVille winter cheer tryouts will be Tuesday, October 9th, from 6:00 – 7:00 p.m. in the high school cafeteria. Questions can be directed to the LaVille Athletic Office. All prospective winter cheer participants should have all LaVille Athletic Department paperwork completed, signed and filled out prior to the October tryout.